The single drawer Ala desk can be used either as a writing or computer desk especially where space is at premium such as a study bedroom. 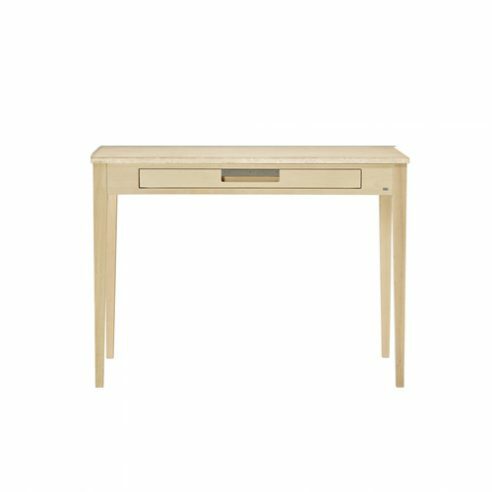 Although smaller than its two drawer companion it shares the same construction details and attention to detail you would expect from GAD. *Birch as standard is soaped. *Oak as standard soaped or clear oil treated. Limestone is a natural material containing fossils and pitting which contributes to the aesthetic of the visible surface. Granite tops are black and matt polished.